High-risk APOL1 does not appear to be associated with stroke or CHD in postmenopausal black women. HealthDay News — For postmenopausal African-American women, high-risk APOL1 genotype seems not to be associated with coronary heart disease, stroke, or mortality, according to a study published online July 3 in JAMA Cardiology. Nora Fransceschini, M.D., M.P.H., from the University of North Carolina in Chapel Hill, and colleagues used data from the Women’s Health Initiative to examine whether high-risk APOL1 genotypes are associated with cardiovascular disease and stroke in postmenopausal African-American women. APOL1 variants were genotyped or imputed from whole-exome sequencing. The researchers found that high-risk APOL1 variant carriers had increased prevalence of hypertension, use of cholesterol-lowering medications, and reduced estimated glomerular filtration rate (eGFR). 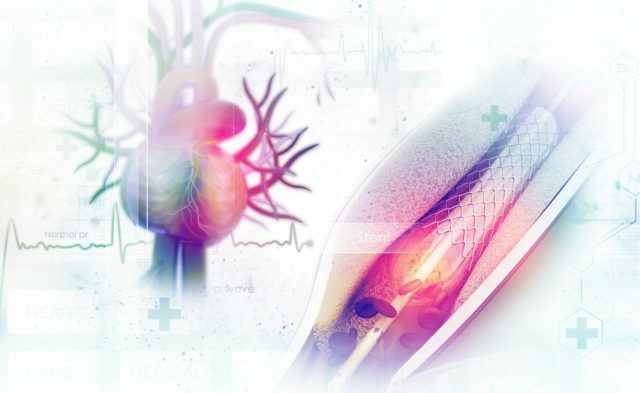 Carriers of high-risk APOL1 variants had increased incidence of hospitalized heart failure with preserved ejection fraction (HFpEF) compared with low-risk carriers after a mean of 11 years; no differences were seen for other outcomes. A significantly increased hazard of hospitalized HFpEF was seen among carriers of high-risk versus low-risk APOL1 variants in adjusted models (hazard ratio, 1.58; 95 percent confidence interval, 1.03 to 2.41). After adjustment for baseline eGFR, the correlation with HFpEF was attenuated and no longer significant (hazard ratio, 1.5; 95 percent confidence interval, 0.98 to 2.3). “These findings do not support an association of high-risk APOL1 genotypes with coronary heart disease, stroke, or mortality in postmenopausal African-American women,” the authors write.